in our live scores page. England manager Roy Hodgson on the Wembley pitch: "We know there's been a problem with the topsoil and the NFL matches have exacerbated the problem but the groundstaff had done a wonderful job in getting it ready. "I've played on better Wembley surfaces but it didn't detract from our performance. Certainly, the players weren't complaining about it afterwards. "We don't score three goals in every game so maybe we should be grateful." Hodgson said that goalkeeper Joe Hart would not travel with the England squad to play in Tuesday's friendly against Scotland but that defender Phil Jagielka would "be OK" after leaving the field with a dead leg. England manager Roy Hodgson on 5 live: "In the first half it wasn't one of our better performances. We needed to do more but I think we saw that in the second half. "I think we were good value for the victory and had several outstanding individual performances. "In a football match there's two teams, there's an opposition working hard to stop you. We're not disappointed in any way about our performance. "It's nice to send the crowd home with four wins before Christmas. Overall it was good in terms of keeping our shape and discipline." No question about this one. Notts County beat Coventry City thanks to Garry Thompson's second-half strike. Carroll played for his country in Friday night's 2-0 loss in Romania and did not arrive back in England until the early hours of Saturday morning. Former England captain Terry Butcher on 606: "Is Roy Hodgson the right man for the job? Yes. The players have got respect for him. He's now in a process where he's trying to get his squad together, blooding players and deciding on his best tactics. "Realistically, this squad is probably not going to win Euro 2016, I think they're looking at Russia 2018. The most important thing is to qualify and when you get to the tournament, you can let your hair down and really have a go." We could actually have an entertaining international friendly on our hands on Tuesday as England take on Scotland at Celtic Park. Join us here for all the coverage of that one. Cockney Geoff: Everyone needs to get a grip. England finished bottom of their group in the World Cup. To score 5 wins in the Euros is not bad at all. We are a work in progress hopefully but lets not be unrealistic here!. Stephen Porter: Why are people so worried about how England played? In Scotland, we don't care how they played if they manage to win! 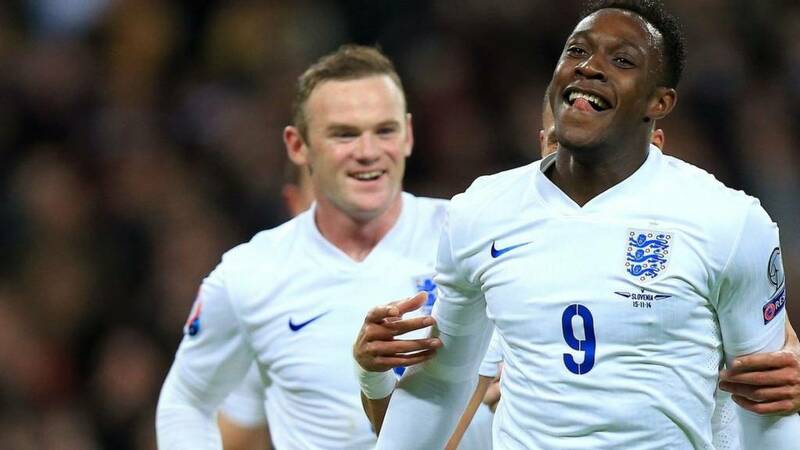 Miracle Roch: Anyone notice how prolific Welbeck has been for England? Despite playing most of his 31 caps out wide. England manager Roy Hodgson: "It was not going to be easy. They were disciplined and well organised. We were probing but weren't getting beyond them. When we went a goal down it was very important to break back and in the end it turned out to be a very good victory. "We kept our shape well, even when we weren't playing our best football. We won it back quickly and sustained attacks. We got much better in the second half and three goals were more than enough to win the game. "In the group we are in a good position." 606, which has just started on 5 live. He didn't think much of England's performance: "It was tedious. England were in a lethargic sleep until Jordan Henderson scored. "When Wayne Rooney looks back on his 100th cap, apart from his penalty, it will be one to forget." England look to have Group E sewn up even more tightly after their 3-1 win over Slovenia but second place is up for grabs. Every other side has lost at least once and tonight Switzerland are at home to Lithuania. Victory for the Swiss would take them level on points with Lithuania and Slovenia. In Group C, defending champions Spain will expect to beat winless Belarus at home in Huelva to try and catch early leaders Slovakia, whose 100% record will be tested at Macedonia. Austria's 1-0 win over Russia extends their unbeaten start and keeps the pressure on Sweden in Group G ahead of their trip to Montenegro. The Swedes will go above Russia into second if they avoid a first defeat. Charley S: The level of negativity about that performance is absurd. We just thoroughly dominated a very solid team and got a well deserved win. No wonder players and managers get crippled by fear playing for England. Our attitude towards the national team is rotten. Bret in Sheffield: With Liechtenstein winning and San Marino drawing actually not the first surprises of this qualifying, is it time to say this new format is helping supposedly lesser sides because the bigger sides don't have to be as ruthless? Sam Sanderson: I think the football has been of a high quality tonight, good use of the ball and dominated the midfield. Too many negative people. "Against Scotland on Tuesday, I would play an experimental team. It is a friendly. Play Ross Barkley and Saido Berahino. Give them an opportunity. Until you throw them into a situation, you don't know. It will be a vicious atmosphere and it will be a test. "Maybe leave a couple of experienced players in but make wholesale changes and give people a chance." A famous night for San Marino who have drawn 0-0 at home to Estonia in Group E to claim their first ever point in European Championship qualifying to end a run of 61 straight defeats. Andorra and new boys Gibraltar are now the only two countries never to have taken a point in the competition's history. Liechtenstein have also struck a blow for the minnow thanks to a 1-0 win in Moldova, sealed by a goal from former Darlington midfielder Franz Burgmeier. Also in Group G, Austria have beaten Fabio Capello's Russia 1-0 to go clear at the top. Ukraine's 3-0 win in Luxembourg in Group C came courtesy of a hat-trick from Andriy Yarmolenko. Kevin Chapman: Welbeck man of the match. Definitely has spared England blushes. Jay: If Germany or Argentina won a game like this, people would admire them for having to play well for just 10 minutes to win! Oli Joel: It's a breath of fresh air to see us having serious striker selection issues with Welbeck, Rooney and Sturridge to choose from. "It's not about two years' time, it's about now. At the minute, this group is very weak and England just have to turn up to get results. "We keep playing this diamond which doesn't work. We've got people with pace out wide, use it. Don't put them in the middle of the park where it's congested." England captain Wayne Rooney: "It was a good day in the end. We had to show character and that will be good for us in the team. Since the World Cup we haven't faced that. "It really woke us up and we went and showed what a good side we are. For the penalty I was trying to get a yard and I was clipped, it was a clear penalty. "Danny Welbeck doesn't have anything to prove. He's getting better with every goal and every game, he deserves all the credit. We have a winning mentality at the minute." "You can't just turn it on when you turn up to the tournament. "You can experiment and go and attack teams. We don't have a style or a philosophy. I'm not seeing any sort of progression in these sorts of games." "We have to understand you're not going to win games against decent opposition playing like this. If you go into a tournament and put in these sorts of performances, you'll get battered. "You've got to put in decent performances time after time to give yourself a chance at a tournament." A perfect record for England, but a far from perfect performance. In all honesty it was a stinker for a hour before it came into life. Roy Hodgson sheepishly shakes hands with opposite number Srecko Katanec and Wayne Rooney refuses to swap this shirt - his 100th cap has ended with a goal and a win. "Sometimes, I don't think you should give a man of the match. England haven't performed. "What we've seen against San Marino and tonight, haven't really impressed at all. What happens when we get to France is what they'll be judged on." Adam Harridence: What has Ross Barkley got to do to get on the pitch? We are supposed to be developing our players. 3-1 up and Milner comes on. Chris Harvey: Has Jordan Henderson done anything positive for England? I'm thinking ever by the way, not just tonight. Duncan Moris: I love Welbeck, his attitude and tenacity are just superb. Sturridge is better but I won't complain if Welbeck keeps his place. Phil Jagielka is booked for a foul on halfway - he was given a hospital pass from Gary Cahill. Concentration isn't their strong suit. James in Norfolk: Well done Nathaniel Clyne! First match in a long time (possibly since Gary Neville) where I haven't been worried about England's right-back. Looks comfortable in attack and defence and even willing to take one for the team. Max Young: Manchester United sold the wrong English striker! James Attenborough: Danny Welbeck - consistently better for his country than his club teams! Dennis Waithera: Welbeck is reliable then. Hey English people back your boy! Another bad night for former England coach Fabio Capello as his Russia side trail 1-0 in Austria to a goal from substitute Rubin Okotie in Group G.
Capello has not been paid since June. I'd imagine Roy Hodgson will be ultimately happy with tonight's display - and England could have a fourth. Danny Welbeck starts it again with some adept hold-up play, Jordan Henderson bursts forward and has Wayne Rooney in the middle but can't find him. Raheem Sterling - off colour largely tonight- is replaced by Alex Oxlade-Chamberlain. Danny Welbeck, footballing genius! He's at it again, a lovely one-two on the edge of the box opens up the space and he then beats another man before his shot is well blocked. Raheem Sterling is booked in the aftermath for kicking the ball away. "This isn't the time to bring James Milner on. If Jose Mourinho made this substitute in the Premier League or England were playing a top side like Germany, you'd understand it but England aren't going to lose this game. It's a very negative, defensive change." They could be dancing on the streets of Liechtenstein - and Darlington - tonight. Captain Franz Burgmeier, who plays his club football in Switzerland but spent a season with the Quakers in 2008-09, has put them 1-0 up in Moldova with a sweetly struck free-kick. James Milner - a perennial 79th-minute substitute - is on in place of Adam Lallana. "The shape's a bit better. I don't think Danny Welbeck likes being out on the left but he's scored two good goals. "Whether it's because England have stretched them, I don't know but Slovenia have come right off the pace, they look a tired side." "Danny Welbeck never lets England manager Roy Hodgson down and he has done the trick again here. His second goal was his fifth in England's Euro 2016 qualifying campaign already. Bit of an unsung hero for England but vital to Hodgson's plans." Phil Baker: Did I just watch a genuinely good England goal? Unbelievable scenes, totally out of place in this game. Stacy Phillips: Wait, when did we substitute the whole team? This isn't the same England team that played in the first half?! I did not see four goals coming in this game 20 minutes ago. That own goal from Jordan Henderson was exactly what the game needed. Looks like England's 100% record will remain intact. "That's a much better goal. One-touch passing in and around the box. It shows England can do it - why don't they do it more often? "That's what we need to see more of. That's much more positive. Fair play to Danny Welbeck." That's a really good goal! Lovely play from England. Adam Lallana starts it with a fine ball out to Kieran Gibbs, Danny Welbeck then plays a razor sharp one-two with Raheem Sterling, controls on his thigh and slides past Samir Handanovic. The best bit of play by England by a million miles. Michael Bench-Capon: Now looking like pretty shrewd play from Jordan Henderson, scoring an own goal to get the match going. Gareth Whalley: Can we tell the England team they're one nil down from the start? Only way to make them play interesting football! Alex Smith: Secretly Henderson just wanted to wake the England team up. I think it's worked quite well! England may not be actually playing well but at least there's some urgency to the game now. Adam Lallana dinks in a nice cross from the right and Wayne Rooney heads over the top. Any more goals in the final 20? "Very fortunate goal. It was a bit pinball wizard. Samir Handanovic made a good stop with his feet and Danny Welbeck scored from the rebound. "I think they're trying to claim offside but the ball went into the net without anyone else touching him so that doesn't apply. "Welbeck's name will be in the paper tomorrow and that's all that matters." Adam Lallana's turn inside the area unlocks the Slovenia defence, his low cross is palmed out into the danger area by Samir Handanovic and Danny Welbeck reacts sharply. He stretches to meet the ball and while his shot is only scuffed goalwards of the inside of his calf, it does enough to bobble into the corner and put England ahead. "A little bit better from England and it's good to see Sterling drifting out wide. "Slovenia still carry a slight threat. I'd like to see Ross Barkley on instead of Adam Lallana and Danny Welbeck is quiet. There's two changes I'd like to see." It's been a good night for Ukraine's Andriy Yarmolenko, who has scored all three goals to put his country 3-0 up in Luxembourg in Group C.
Paul Thompson: Can we now end the debate about Rooney being an England great? Great players make things happen and he's just changed the game. Peter Collins: Think Rooney is angry about something? At least he took it out on the poor ball! Will Jackson: That goal and penalty is exactly why Rooney is the captain. Steps up when he is needed. Well done. Sir Bobby Charlton has 49 goals for England. Jimmy Greaves and Wayne Rooney have 44. The chances continue to come as a mistake from Phil Jagielka lets Kevin Kampl in on goal. He tries to get the ball on to his right foot but Gary Cahill slides over to make a fine challenge and turn the ball away for a corner. "Slovenia may just have prodded England into life after going ahead through Jordan Henderson's own goal. "Wayne Rooney, to the relief of Wembley and no doubt his manager Roy Hodgson, made sure the visitors' celebrations were cut short almost instantly. Now can England take advantage of the momentum they have with the equaliser?" "It was a fantastically struck penalty. Far too much power for the goalkeeper. "I think it was a clear penalty. It was like a playground trip, where you catch someone's trailing leg and it clips their other leg. "Buy why does it take a goal to liven England up?" A goal on his big night as Wayne Rooney moves on to 44 goals for England - level with Jimmy Greaves. He blasts the spot kick in, and though keeper Samir Handanovic gets a hand on it, he can't keep it out. The crowd are lively, the noise is up. Can the game improve now? It's in there! Slovenia take the lead and give this game the massive kick-start it needed. Milivoje Novakovic whips the ball in and Jordan Henderson heads past Joe Hart. Now then! The second the stretcher arrives, Valter Birsa springs to his feet. A classic manoeuvre. A soft booking as Kieran Gibbs treads on the heel of Valter Birsa. Time out for some treatment as we tick closer to the hour mark. He's called for a stretcher, perhaps that was nastier than it appeared on first viewing. Rob in Derby: Roy Hodgson is the weak link in this England team. In my opinion we need a positive, young, vibrant manager to unleash our youngsters potential, someone in the Roberto Martinez mould! WB: Would love to see this game at St James' or the Britannia. Been to Wembley loads. The apathy of the fans feeds to the team. Phil in Poole: The FA should market this game as a cure for insomniacs everywhere. Raheem Sterling beats two men and stands up a cross which is headed away. That is better, much better, positive intent from England's attacking players. Ian: ‏Think we will see more movement from Judy Murray on Strictly tonight than England. mydogminton: I'm actually at Wembley (for the first time ever) and that was still one of the most boring 45 minutes I've ever seen. Phil Bayley: Was at Wembley last weekend for NFL and it was lots better than this. Stop complaining about the pitch - it is being misused now! Back under way. No changes at the break. Sam Carr: Even coffee struggled to keep me awake during that England first-half performance. KW: I thoroughly enjoyed that first half. I was sat eating my tacos with my back to the TV. Trev: That was a great first half for me. Managed to do most of my Xmas shopping online during the dull bits. An incident which passed me by in the first half - I was rewatching England's 5-1 win in Germany on YouTube - saw Slovenia captain Bostjan Cesar catch Adam Lallana with a stray elbow off the ball. Very naughty, and very lucky to still be on the field. Stalemate at Wembley is matched across Europe, apart from in Luxembourg where Ukraine lead 1-0 at half time. On a positive note, San Marino are only 45 minutes away from a first point of the campaign against Estonia. Men with forks tend to the scarred Wembley surface at the break. Will Roy Hodgson make any changes? Will he be unhappy with that first half showing? Sandeep: To be fair, our World Cup matches against Italy and Uruguay were exciting, we just lost them both. Joe Simkins: Colombia and Argentina games in '98 were really compelling. Sometimes its to do with nostalgia and just being younger though! I don't want to be too negative - so if you enjoyed that first half, please get in touch. Casualty is not on until 21:15 I'm afraid Chris. The good folk of Holby can't save you. "I don't know why we play this diamond at home. We need width to stretch teams and create space for the two strikers. "We're playing into teams' hands. These are a very ordinary team and we're making it easy for them. "Get Theo Walcott, Alex Oxlade-Chamberlain or Ross Barkley on. Just something. We're at home, be positive. I'm looking at it now and thinking 'what time's Casualty on?'" No shots on target. Nothing going on. A queue is forming outside of our office for a recording of 'The Voice'. I may bring you live commentary of that in the second half. It will move at a faster pace. "Let's not fall back on any excuses about the pitch - that was an awful first half from England. Deadly dull, lacking in spark and creativity. Set pieces were wasted and Slovenia have cruised through that first 45 minutes. Simply not good enough." Nil nil. As nil nil as it gets. "Oooooohhhhhhh!!! This is getting better and better and better!" The words of John Motson in September 2001. Germany 1 England 5. The last time anyone seems to have been excited by an England performance. James Hardy: Last time England excited? 5-1 over Germany. Nothing close since. Rachel T: Last time England excited me? 1990 and 1996. Semi-finals in tournaments - something we haven't come close to ever since. At last, the first goal of the night. And perhaps it's not surprising that it has come in Luxembourg, where Ukraine lead 1-0 in their Group C game. Dynamo Kiev striker Andriy Yarmolenko fired home following a corner as Ukraine look to join Slovakia at the top of the group before the evening kick-offs. Get your head down Natalie, we'll give you a call if anything happens. Nathaniel Clyne wins a corner which Phil Jagielka flicks on and it skims across goal. on Twitter: "Clyne looking decent for England and Gskfjjyxhwoeodbjk.... Sorry, fell asleep briefly #snoozefest"
Gavin Gallagher: Let's be honest here, Slovenia should be one up. There's a serious lack of quality in the England team. Awful stuff. Daniel Walford: Why do we do this?? Attribute England's success on the ability of one player?? Rooney is a top player. Ten more too please. Mark Davey: Why is everyone saying this is dull? We just need to score one and they will crumble. Better! Much better. Jordan Henderson wins the ball back high up the pitch and this time they move the ball quickly, Henderson finding Wayne Rooney in a pocket of space, he draws in a defender before finding Danny Welbeck to his right. It demands to be hit first time and Welbeck puts the laces through it, firing over the top. Not particularly close, but at least he pulled the trigger. Gary Cahill meanders up to halfway, jeers from the stands, and he gets it back from midfield. It's so slow. Wayne Rooney has hardly had a touch in the last 10 minutes or so. "I want England to man up a bit, have a go and show some character. "It's laboured, slow, it's obvious what we're going to do and easy to play against. I hope they change things at half-time. The pitch isn't brilliant but it's no excuse." September 2008, that Theo Walcott hat-trick. That was a fine performance, for sure. I guess the nature of these qualifying campaigns, with two teams from each group guaranteed a place in the finals, may lead to some complacency. But England are offering little in the way of entertainment. When was the last time England excited you? Fozz: The last time I watched England and we were good is when we beat Croatia away and Theo scored hat trick. Years ago. Salman Khan: ‏The last time England excited me was when they had to win to qualify for the World Cup against Macedonia and Poland. Will Jackson: 2006 World Cup was decent England play. Good goal by Joe Cole, decent play on the pitch. It all went downhill from then on. "Deadly dull here at Wembley so far. No zip or rhythm about England's play and coach Ray Lewington has just called striker Danny Welbeck over for a long conversation near the technical area. All very comfortable for Slovenia and England need to find the spark that has eluded them." "I don't think the shape helps England. Raheem Sterling looks frustrated. "We're relying on the full-backs to ask questions. Get Sterling out on the touchline and Alex Oxlade-Chamberlain on at half-time to play on the other wing and let's see what happens." "Breaking teams down is not the easiest. Jack Wilshere has almost been anonymous for most of this game. "Fans come to these games and they expect England to beat teams like Slovenia 2-0 or 3-0. That might be unrealistic but fans these days come to games to be entertained. Slovenia would be happy to take a draw out of this, make no mistake about it." Nathaniel Clyne has been the bright spark for England so far. He makes himself available once more and Danny Welbeck puts him in, but his low cross is defended well. Freeing Clyne down the right looks like England's only real route to goal yet. Scotland v Republic of Ireland was a welcome tonic when it comes to international qualifiers. The crowd were brilliant, the tackles were flying in, everyone was involved. There was passion and commitment on display and even a fine goal to settle matters. Wembley is a very different arena thus far. When was the last time England excited you? Chris Rushton: Wembley is missing all the passion, speed and, yes, quality from last night's match at Celtic Park. Sad. Haunted Magazine: Thought we were playing away, the pitch is a mess, an absolute disgrace for the home of football!! Matt Cooper: No one can complain about the Wembley pitch. My game today had puddles for goalmouths. Other yeast-extract based spreads are available. England's captain Wayne Rooney does at least have a shot, cracking a drive high into the stands after Danny Welbeck had won a header. Perhaps going more direct is the answer if this NFL-blighted pitch is causing trouble? David in Ormskirk: Rooney is a good player compared to the majority of English players recently. But that isn't hard. Compared to players for other countries then he isn't even close. Gaz in Hull: Rooney's international record is almost identical to some bloke called Lionel Messi. Not a great either? I think you need to look at more than stats to decide on a 'great'. What do people think Rooney should have achieved? Look at who he's had to play with over the past 12 years. Mike in London: Rooney should be Marmite's new brand ambassador, judging by the comments on here. Raheem Sterling is the latest man to take a duff touch and an attack breaks down. Wayne Rooney and Adam Lallana then both fall over on the edge of the box but nothing is given by the referee. As predicted, it's been a pretty dull opening 20 minutes. Where's the spark? The intensity? The drive? "England on top in the opening phase and already signs of the promising link-up between Jack Wilshere and captain Wayne Rooney that was one of the plus points from their narrow win in Estonia. "The Wembley surface has clearly visible signs of scarring from the NFL game between Jacksonville Jaguars and Dallas Cowboys but we must wait and see if this becomes a factor as the time goes on. Busy start but nothing in the way of chances." "They're doing OK. I don't know why we play the diamond at home. There's not enough movement from the top two. I like to see a bit of width and Raheem Sterling's the best player to do that. "Jordan Henderson, Jack Wilshere and Adam Lallana have seen a lot of the ball but all in a central area, where the pitch is cutting up." Again, Nathaniel Clyne is the bright spark for England. He beats his man on the outside, finds Wayne Rooney in space on the edge of the box, he rolls it back to Raheem Sterling, but his shot from 25 yards is dragged wide. Much better from Clyne. "England's tempo's a little bit slow at the moment. When a team sits back, you've got to shift the ball quickly. You have to make your passes crisp and clean." The first bright piece of play of the day sees Danny Welbeck switch the ball superbly, finding the overlapping Nathaniel Clyne bursting in to the box, but a blue-shirted defender just about toes it clear for a corner. Clyne and Kieran Gibbs need to supply the width for England this afternoon. Worku Alemu: I don't think that Rooney is great English player because he did nothing at great tournaments. Paul Moore: Rooney is the national scapegoat. England are pathetic and always have been barring the 66 world cup. Get a grip on reality. Oxford and James Roberts prove the coupon buster thanks to a 1-0 win at York, who are still to win at home this season. Every other game provided a home win with Luton going top thanks to their 1-0 success against Tranmere, who lose for the first time under Micky Adams. Substitute Ricky Miller got the decisive goal for the Hatters. Shrewsbury are up to second thanks to second-half goals from Bobby Grant and James Collins in a 2-0 success over 10-man Mansfield. Hartlepool stay bottom after losing 1-0 at Southend to a David Worrall winner. Stevenage are the biggest winners of the day thanks to a 5-1 thumping of Cheltenham with Chris Beardsley and Lee Barnard getting two apiece. Wayne Rooney's touch is poor as the ball bobbles up off a rough part of the Wembley pitch. It's far from its usual pristine self but still not the worst you've seen. "Now the game has settled down, Slovenia have a clear 4-4-2. They are going to sit back and allow England to have the ball. England have struggled in the past in situations like this because they don't have that little creative midfield player, or a number 10. "They're better when they're up against a team like Switzerland, who have a go, rather than sitting back. They could struggle today." I wouldn't say it was quiet inside Wembley but you can hear Nathaniel Clyne telling Raheem Sterling to push on up the line as he takes a throw-in. Not as much as a sniff of a chance in the opening 10 minutes. Joe in Reading: Please stop all this moaning about Rooney ... he might be all the things people are saying but he is the best and hardest working we have. Please, for once, can we unite and get behind all our boys? Come on England! Roan: I don't understand the need to have a debate about Rooney, Why would he be named captain if he hasn't proved himself? David in Aberdeen: All these people doubting Rooney being considered great clearly still think England are one of the best teams in the world. For the average team that England are, they should feel honoured to have him. If Scotland v Republic of Ireland was played at 100mph, this is walking pace. Static, stodgy stuff. "It's an experienced Slovenian back four, a good unit but maybe lacking a bit of pace. "Great opportunity for Raheem Sterling and Danny Welbeck to run in behind them and I think that's what England will try to do early on." England's defence go missing momentarily as Slovenia midfielder Andraz Kirm ghosts into space, but he mistimes his header and can only loop it at Joe Hart. Wayne Rooney then almost gets in behind but takes a ragged touch and the ball spins away. hyuecn: Rooney has scored well. But compare him to the player he was at 18. Was exciting to watch, now slows up play and looks unfit. Adam Rosario: Rooney has been great for England overall. Everyone who's said he's underachieved, so has every England player and team since 66. Bimma: Wayne Rooney. Brilliant at Euro 2004. Not a England "great". Needs 30 chances to get a goal. Goes missing in the big tournaments. Leaders Bristol City taste defeat for the first time in 23 league games with Swindon winning 1-0 thanks to Michael Smith's 12th goal of the season. City had Wade Elliott sent off after just three minutes and finally cracked 12 minutes from the end as Swindon climbed up to second place. Preston slip to third as they lost at home for the first time in 21 games. Joe Garner's 12th of the season briefly made it 1-1 against Bradford before Mark Yeates got the Bantams' winner in a 2-1 success. Northern Ireland international Roy Carroll kept a clean sheet in his second game in two days to help Notts County win 1-0 at Coventry thanks to a Garry Thompson goal which lifts them to fourth with as fourth successive away win. Fleetwood end a seven-match losing streak on the road thanks to a Jeff Hughes header which was enough to beat Yeovil 1-0. Ten-man Sheffield United make it three successive away wins thanks to Jamie Murphy's goal in the South Yorkshire derby at Doncaster. Gillingham get their first win in nine league games against Leyton Orient thanks to an injury-time goal from Cody McDonald to complete a dramatic 3-2 victory. And Port Vale make it three straight league wins with veteran midfielder Michael Brown, 37, getting the only goal against Rochdale. Jaack Wilshere has started in that deep role at the base of a midfield diamond. Jordan Henderson and Adam Lallana pushing on and Raheem Sterling in behind the front two. It's the Slovenia fans making the early noise. The pitch doesn't look too bad. From Salford. Perhaps a bit ropey on England's right flank in this first half. Jordan Henderson is perhaps fortunate not to get booked for a late tackle inside 30 seconds before Danny Welbeck runs a long ball out of play at the other end. Ian Colledge: Rooney's scored only a single World Cup goal, if he can't perform on the biggest stage he shouldn't be considered a great. Efe Andre: Wayne Rooney is a great English player. Full stop. Aamir Patel: Is there a better striker than Rooney that can play for England? No. I rest my case. Night falls at a quiet Wembley. A few early goals would wake everyone up, but I get the feeling Slovenia could prove a tough nut to crack. Opta: England have won only four of their last 10 games played on a Saturday. Ian B in Chesterfield: Wayne Rooney has if he is totally honest with himself has unde achieved since his third season at Manchester United and that's what you have to be - honest with yourself. Lee in Leeds: Wayne Rooney is no legend, most games you don't know if he is even on the pitch, but he's not the only scarlet pimpernel in the England team. Stand up and be counted. Arj Manchester: Wayne's unbelievable but his versatility and work rate have worked against us. England needed to build completely around him. The other 10 players should be there to put a shift in so he has the freedom to change games. Unfortunately he's all too often covering for poor England players' efforts. Peter Shilton claps on as the crowd acclaim Wayne Rooney. Rooney and children then step forwards to meet Manchester United and England legend Sir Bobby Charlton, who hands over the special golden cap. On the state of the Wembley pitch: "It's rubbish. It's all right playing the NFL on it but not the week before a qualifier. You can still read the NFL writing on it. "They should have taken this game somewhere else to play on a proper pitch. This is a joke." Wayne Rooney is in the tunnel with youngest son Klay in his arms. Both of his children are with him for this big moment. Here they come! James Wall: Rooney is woeful. He had one good tournament when he was a kid and that was it. How he's in the England team is beyond me. Matt Harding: Wayne Rooney has scored more competitive goals than any other England player. Yet we're debating his greatness? This country. Hugo: Rooney has not performed for England in 10 years, he's a poor Captain and a destructive role model. There's no debate here. "I think it's [Rooney reaching 100 England caps] an incredible achievement - 100 games is phenomenal and he is still at a good age. He could go on to get another 30 or 40. "I know the debate is 'has he been a great player?' I think by his own admission, Wayne's only regret is that in major tournaments, he hasn't really performed, except for maybe in 2004. But what he's done over 10 or 12 years has been magnificent." "Nathaniel Clyne gets a deserved reward for his part in Southampton's outstanding start to the season with a first England cap against Slovenia. Big day for Arsenal's Kieran Gibbs as he steps in as a late replacement for injured Everton defender Leighton Baines. "This very talented left-back often gets overlooked in the conversations surrounding Baines and Manchester United's £27m signing Luke Shaw, so a good opportunity for him to make his mark." Fifteen minutes to go until kick-off on a Wembley pitch which is a long way from pristine. The big lads from the NFL have churned it up a touch, will it play a part in the game? Wembley is close to a sell-out this afternoon. After three rounds of qualifying games across the board, the picture is looking rosy for England, Scotland, Wales, Northern Ireland and the Republic of Ireland. But who does qualify for the finals in France? The 53 teams in nine qualifying groups of six will be reduced to 24 teams in the finals. All first and second-placed teams go through, plus the best third-placed team. All other third-placed teams go into two-legged play-offs with the winners to progress. "In one way I'd say it's a great achievement [Wayne Rooney getting to 100 caps]. On the other side, if you go back over the years of the national team there's a lot of other players that can get 100 caps now. "Would he have got all the caps had he been competing with Gary Lineker, Peter Beardsley, John Barnes going up to Teddy Sheringham and Alan Shearer?" Former England captain Steven Gerrard says that Wayne Rooney had "a devastating impact" on the England set-up and Gary Neville says England would have won Euro 2004 if he hadn't been injured. Ten years is a long time. Has he ever been near that level since? Mike Lawson: Wayne Rooney's often ineffectual involvement behind the main striker is already holding back the progress of Ross Barkley. Drop. Jeremy Cooper: It won't happen, but it would be interesting to drop Rooney for a run of games and see how fortunes change without him. Rab: Wayne Rooney's workrate is his greatest quality. All these England fans complaining should remember all he's done in the past. Morecambe are celebrating their first win in five games thanks to Kevin Ellison's seventh goal of the season, which was enough to beat Bury 1-0. On-loan Blackpool striker Bobby Grant has scored his first goal for Shrewsbury to give them a 1-0 lead against 10-man Mansfield, who had Jamie Maguire sent off in the first half. Luton could be going top after going 1-0 up against Tranmere thanks to substitute Ricky Miller's goal which is threatening Mickey Adams' unbeaten start as Rovers manager. England manager Roy Hodgson on ITV: "I was out there and the pitch didn't look that bad to be honest but we will see. Making statements about the pitch before it starts is a dangerous game. If there s any need to complain about the pitch let's do it after the game. "Slovenia have beaten Switzerland, they have some good players. "We are looking for a win, and that is what Wayne Rooney is looking for too." June 2014: Scores his first - and so far only - goal in the World Cup finals in a 2-1 defeat by Uruguay. Perhaps 'The Big Valbowski' has hit the nail on the head there. Will Wayne Rooney's England career be looked on with a more glossy sheen after he has retired? The key point remains that we here on the BBC football desk are struggling to recall many - if any - excellent performances from the number 10 since Euro 2004. Will Pedley: One man doesn't make a team, which is a shame because 11 Rooneys would have changed England's fortunes over the years. The Big Valbowski: You'll miss him when he's gone. Goals are still in short supply but Sheffield United are leading 1-0 in their South Yorkshire derby with Doncaster, despite being down to 10 men. Defender Paddy McCarthy was sent off for bringing down Nathan Tyson but Harry Forrester's penalty was saved by Mark Howard and Jamie Murphy struck for the Blades just two minutes later. Strugglers Gillingham and Leyton Orient have managed three between them at the Priestfield Stadium where the Gills have come from behind to lead 2-1. Gianvito Plasmati put the O's in front from the penalty spot but a double from Leon Legge has revived the Gills' hopes of a first win in nine league games. Port Vale lead Rochdale 1-0 thanks to a third goal of the season from veteran midfielder Michael Brown, 37. Wayne Rooney's brother John has just scored for Chester! An omen? Wayne Rooney has 43 goals for England. One World Cup goal, five in European Championship finals. Nine in Euro qualifiers, 16 in World Cup qualifiers and 12 in friendlies. An even spread? Or should he have more in the 'big' games? Brockerz: Wouldn't call Rooney an England legend or even great, just the best we've had for the past 10 or so years, which is kind of sad. William: The critique of Wayne Rooney is absolutely ridiculous. Top-class player for club and country. Mark Chapman is in position at Wembley. Build-up starts after the rugby, ahead of kick-off at 17:00 GMT. October 2013: Became England's highest scorer in competitive games, breaking Michael Owen's record of 26 goals when he opened the scoring in a 4-1 World Cup qualification win over Montenegro. After Wayne Rooney, Danny Welbeck is the leading scorer in the current England squad. He has 11 goals in 30 caps. Wayne Rooney is currently England's fourth highest goalscorer, on 43 goals. One more will see him level Jimmy Greaves's haul, and then just MOTD presenter Gary Lineker and Sir Bobby Charlton will be in front of him. defeat in the autumn internationals. 5 live will turn its attention to the other England match from 16:30 GMT, when Mark Chapman welcomes guest Chris Waddle to build up to the 17:00 kick-off at Wembley. Alan Green and John Murray are your commentators and they will be joined by former England defender Danny Mills. 606 with Jason Mohammed and Terry Butcher from 19:00. Here's the golden cap Wayne Rooney will receive from Manchester United and England legend Sir Bobby Charlton before kick-off this afternoon to commemorate his 100th appearance for his country. I have it on good authority that Adil's gran is an exceptional talent, to be fair. Adil Ahmed: The fact that Rooney's greatness is up for debate says it all. Never performed when it mattered. Even my gran can score vs Macedonia and the Faroe Islands! June 2006: Sent off for "stamping" on Portugal's Ricardo Carvalho in the World Cup quarter-final in Germany. England lose match on penalties. An overdue debut for Southampton right-back Nathaniel Clyne? Good? Very good? or Great? Clearly, you don't score 43 international goals and win 100 caps without being an excellent player. But given the impact made by Wayne Rooney when he was still a teenager, there is the nagging feeling that his England career has been a disappointment. Former England striker Alan Shearer says: "I think the word 'great' is used maybe too many times nowadays but you can't argue with Lionel Messi and Cristiano Ronaldo, who are great. "I wouldn't put Wayne in that bracket - very good, yes. But if you are using those two as great players I don't think he's at that level." Heard enough about Wayne Rooney? Surely not. There's plenty of stuff to savour from the past few days to mark the Manchester United forward's landmark moment. visited Rooney's old school to meet pupils who would love to follow in the Liverpudlian's footsteps. One of them, Rory Burns, is Rooney's cousin. Keep him on his left foot, he's not too shabby in the air. Wayne Rooney's England goals record in full. "England manager Roy Hodgson has just been out at Wembley giving the pitch a very close inspection, along with assistant Gary Neville. "As well as that dark patch around the centre circle, there are still some NFL markings that can be seen near the touchline and around the perimeter - not sure what the Wembley traditionalists will make of that." June 2004: Arguably the high point. The 18-year-old is sensational at Euro 2004, scoring four times in four games before injuring himself in the quarter-final defeat by Portugal. The points are already in the bag for Plymouth who continued their fine run in League Two by beating Portsmouth 3-0 - top scorer Reuben Reid getting two more - in an early kick off to record their eight successive home win. Stevenage almost look home and dry as well as they lead Cheltenham 3-0 at the break with striker Chris Beardsley getting two. York's miserable home run is continuing with James Roberts putting Oxford 1-0 up on his full league debut after getting two in the FA Cup last weekend. Derek Asomoah has bagged his fourth in five games to give Carlisle a 1-0 lead over Accrington, while Barry Fuller's first goal in more than eight years has put AFC Wimbledon 1-0 up against struggling Dagenham and Redbridge. Wayne Rooney makes his 100th appearance for England as they make three changes from the team which beat Estonia. Southampton right-back Nathaniel Clyne wins his first cap, Kieran Gibbs plays at left-back and Raheem Sterling returns in midfield. Unbeaten League One leaders Bristol City are having to play all bar the first three minutes of their game at Swindon with 10 men after Wade Elliott was sent off for violent conduct. However, they are holding firm at 0-0 at half-time. Second-placed Preston aren't making the most of it yet, as their unbeaten home record is under threat from Bradford, who lead 1-0 thanks to a Rory McArdle header. Remarkably, he is the only scorer in the division from the 15:00 GMT kick-offs. In the division's early game, on-loan Aston Villa midfielder Daniel Johnson scored on his Oldham debut but Crawley hit back through Welshman Gwion Edwards's fifth goal of the season to draw 1-1. Manchester United striker Wayne Rooney, 29, is not giving up hope of making up for three disappointing World Cup campaigns - the most recent being England's failure to qualify from the group stage in Brazil this summer - in Russia in 2018. Rooney, who insists he will never call time on his England career, said: "It's so difficult when you're coming up to 30, to start planning the next four years. "You have to be realistic, and there is a chance I might not go to that World Cup, but of course I would love to go." Can he get another two tournaments under his belt? on Twitter: "Wasn't expecting Wembley pitch to look this ropey from up high. Centre circle patchy and clear NFL words down pitch." We should have team news from Wembley in the next 15 minutes or so. Wayne Rooney will win his 100th cap this afternoon, but could he partnered by a striker winning his first? West Brom forward Saido Berahino is uncapped, but in the squad. Will he get a chance? They say goalkeepers are a breed apart and Roy Carroll is living up to the stereotype by clocking up his second game in less than 24 hours. lost 2-0 in Romania to suffer the first defeat of their European Championship qualifying campaign. The former Manchester United and West Ham keeper, 37, flew home with the national team on Saturday morning and duly reported for duty with Notts County. And he quickly donned the gloves again to start for the Magpies in their League One game at struggling Coventry City in their 15:00 GMT kick-off. One of the more unusual reasons to have a game called off, as Lincoln City's Conference match at Eastleigh was postponed following a fire at the Imps' hotel. Lincoln were unable to get their kit from their hotel following the fire.Image caption: Lincoln were unable to get their kit from their hotel following the fire. An explosion in the sauna at the Hilton Southampton meant the Lincoln team were unable to collect their team kit. The game was originally delayed by an hour before eventually being postponed. posted on their Twitter account: "Can only apologise to fans who have travelled but all in hands of fire brigade. All players' boots etc in rooms which we can't enter." club statement from Eastleigh read: "The fire broke out at the Hilton Hotel in Chilworth at 11.16am today. "Crews of 55 firefighters from eight stations across the Southampton area have been tackling the flames which is thought to have started in the hotel's sauna. "Ambulances and police have also been arriving on the scene." "England captain Wayne Rooney will receive a Golden Cap from Sir Bobby Charlton before kick-off in the Euro 2016 qualifier against Slovenia at Wembley to mark his 100th international before they get down to the business of attempting to make it four wins from four in their qualifying campaign. "Plenty of debate has surrounded the condition of the Wembley surface after the NFL game between Jacksonville Jaguars and Dallas Cowboys last Sunday, with a member of the Slovenian backroom staff claiming part of the centre of the pitch is "completely ruined. "Heavy rain earlier has not helped but the pitch looks reasonable, apart from one darker area around the centre circle - although the final verdict can only be reached once the action gets under way." We're asking for your views on Wayne Rooney. What are your favourite Rooney moments? Is he an England great or has his international career left something to be desired? Vinny Person: Rooney goes missing in big games. Vast majority of his caps/goals come in pointless games in friendlies and against minnows. Paddy: Wayne Rooney is the most overrated player of last 10 years. He is not world class! Not even in the top 20 players. Mark Taylor: Sick of people slagging Wayne. The only reason people do this is because he plays for United. Any excuse for the United haters. From his bustling full debut against Turkey to his fine goal in the Maracana. His red card in Gelsenkirchen to his 100th cap. What are your favourite memories of Wayne Rooney in an England shirt? What was his best goal for the national side? And has he excelled or disappointed overall?